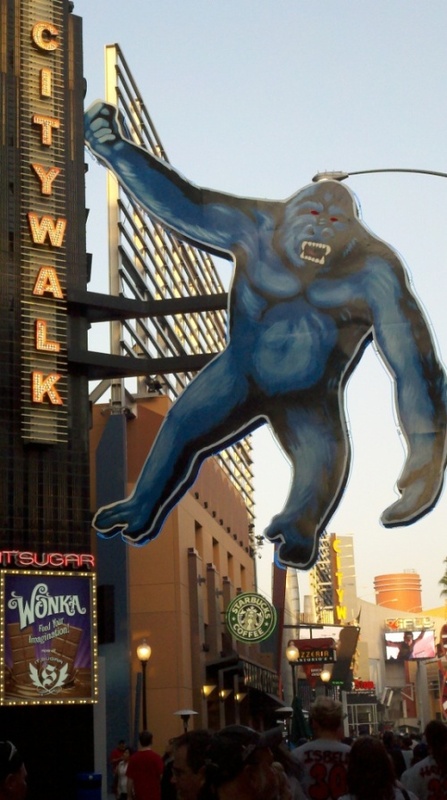 Universal Citywalk is a 23 acre entertainment and retail area adjacent to Universal Studios. It is a popular destination for entertainment, dining, shopping and getting out and about. Always lively, festive and colorful, and easy to get to, to me, Citywalk is a no-brainer destination when you have out of town guests or just want to get out and about from Ventura County. Other than walking around and gazing at the people and interesting sites, there are plenty of things to do at Citywalk, including movie theaters, IMAX theater, a comedy club, the Gibson Amphitheatre, Jillian's (which has food, billiards and a large arcade), iFly Hollywood indoor skydiving and much more. 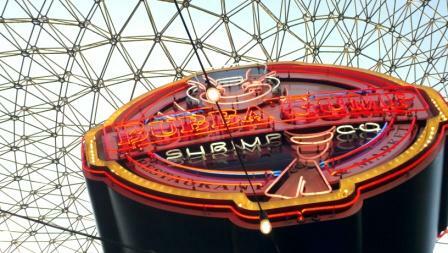 My kids absolutely love the Bubba Gump Shrimp Co so we usually eat there when we go. But there's a lot of other choices, like Buca di Beppo, Karl Strauss Brewery, Wolfgang Puck Cafe, Hard Rock Cafe, Saddle Ranch Chop House among others. We also usually stop by Sparky's for a little sugar fix after our meal. They have chocolate covered Twinkies, s'mores, Rice Krispie treats, pretzels, bacon, jalapeno, you name it. Their candied apples look mouth watering too. 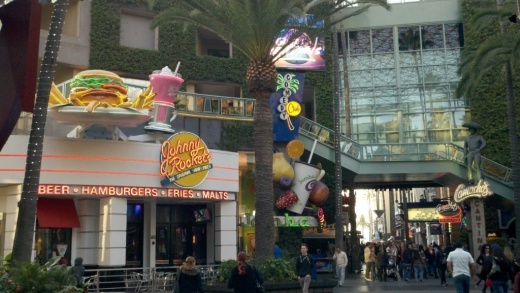 I've barely scratched the surface in this post, so visit www.citywalkhollywood.com to learn more. Click here for directions. If you are planning on going to the movies, the box office will give you a rebate of $11 if you park before 3pm and $5 if you park after 3pm. That reduces your parking cost quite a bit.